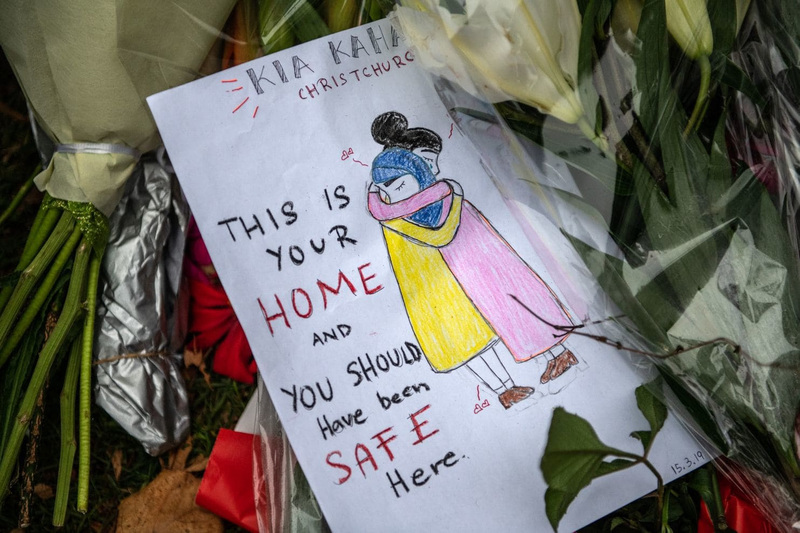 On 15 March, a self-proclaimed ‘white nationalist’ opened fire on worshippers at mosques in Deans Ave and Linwood, New Zealand, killing 50 people and wounding another 50. The Australian-born gunman used five weapons, including two semi-automatic assault rifles, in the attack. The death toll might have been even higher but for the heroism displayed by unarmed men at both mosques. People across New Zealand will listen to the Muslim call to prayer on Friday as the nation marks one week since the New-Zealand mass shooting, that was labelled by many as ‘massacre’. New Zealand's Prime Minister Jacinda Ardern labeled the crime against worshippers as a well-planned "terrorist attack". She said some of the victims may have been new immigrants and refugees. “They are us. The person who has perpetuated this violence against us is not. They have no place in New Zealand,” she said. This agonizing experience might open the eyes to many to finally realize that terrorism has no identity and, instead of associating it to Islam, they would recognize that terrorism claims exclusively the lives of the innocent regardless of their faith, creed, or color. While the rising "Islamophobia" is mainly responsible for the attack on the mosques, the IS had sent messages and videos of retaliation after six months of silence. “The message comes as the IS caliphate, which once stretched for tens of thousands of miles and ruled over some 10 million people, is on the brink of defeat,” the MSN reports, and as the Egyptian Dār al-Iftāʾ has warned of. The Human Fraternity Document signed by both the Christian and the Muslim segments of this world, earlier this month, and represented by Pope Francis and the Grand Imam al-Ṭayyib is a strong message against the rise of Islamophobia ignited by western nationalism, and the retaliation threats of radicals who wrongly call themselves Muslims.